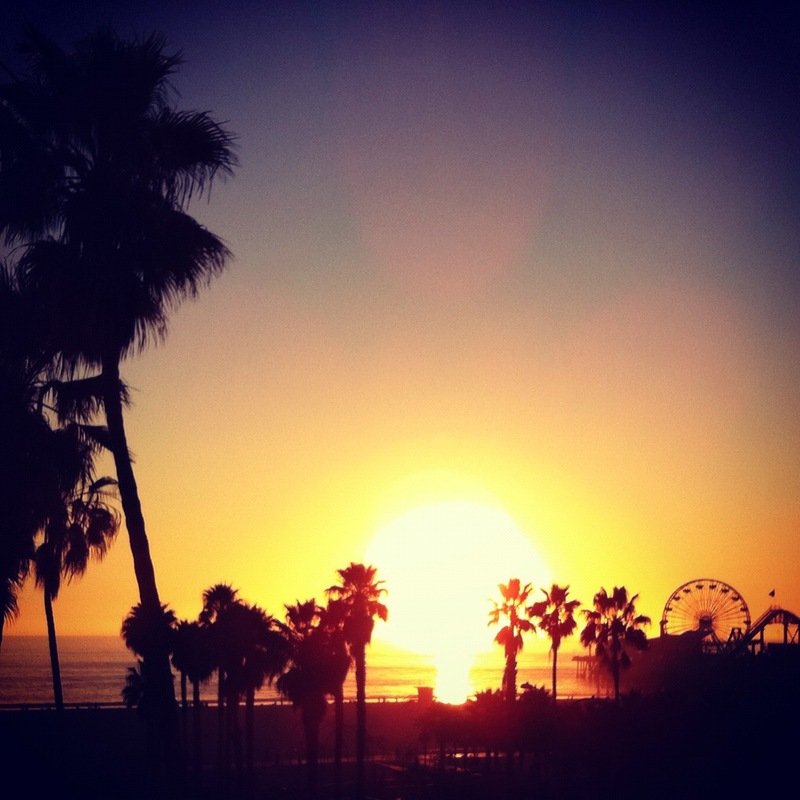 About a year ago, I had the opportunity to visit Santa Monica for a few days with my sister. Given that I had never been west of the Grand Canyon – as well as the fact that this meant abandoning Ohio in the middle of January – this trip was quite the treat. Aside from the fantastic shopping, one of the other key memories I retain from our four day excursion was this city’s focus on healthy living. The walking, the biking, the running, the surfing, the oceanside weight lifting, the Pinkberry…and that fantastic Third Street Promenade Farmer’s Market. When we polled consumers on Organic Products for our February survey, I got to wondering if the impression of the healthier lifestyle I got in Santa Monica was a marketplace reality. So, is any one census region more likely than the others to embrace Organic Products (and the [arguably] greater health benefits that come along with them)? According to this month’s survey, two in five Adults 18+ (60.0%) indicate that they regularly or occasionally purchase Organic Products. This figure increases to nearly seven in ten adults living out West, the highest among the four Census Regions [see chart]. So appears that there is at least some truth to the rumor that I have been spreading in this very blog. 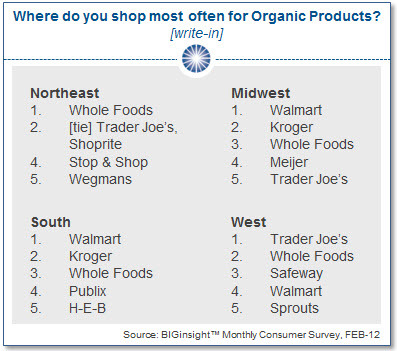 Northeasterners are about average when it comes to buy Organic, Southerners are slightly below, and we Midwesterners are the least likely to shop the big O [“O” as in Organic…of course]. 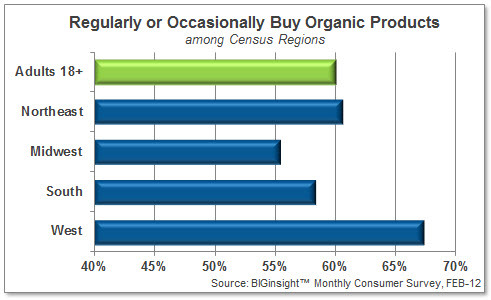 The Western states are also home to more consumers who are committed Organic buyers; 14.1% of these residents purchase these products “regularly.” In fact, this figure is 60%+ higher than those in the Midwest who buy “regularly” (8.6%). In the South and Northeast, shoppers are more likely to trend along the nationwide average of about 12%.